Locey house, fall 1950. #14. Not standing, torn down. One of first "Company" houses. Ann Calkins taught school here about 1868-9. Friends of Library. Description See also photos 146a & b. 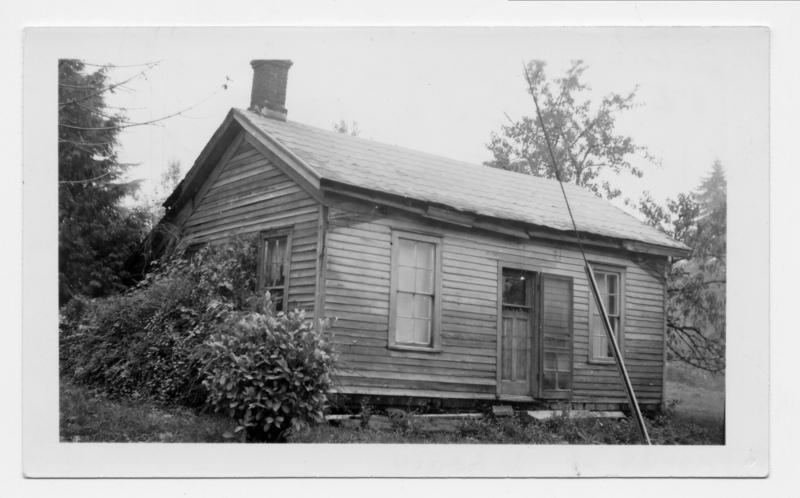 Transcription Locey house, fall 1950. #14. Not standing, torn down. One of first "Company" houses. Ann Calkins taught school here about 1868-9. Friends of Library. Physical Description H 2.75" x W 4.5"